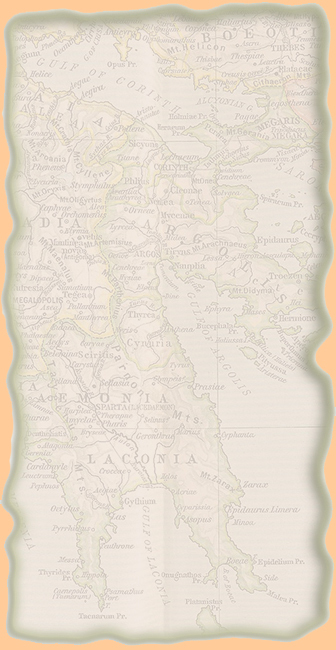 also spelled Tecumtha, Tecumthe, Tikamthe, Tecumtha, or Tecumsa. Tecumseh might be translated as Shooting Star. 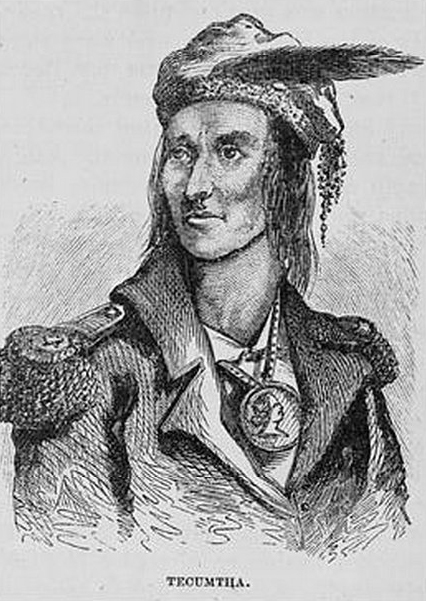 Later drawings of Tecumseh, that are based on this sketch, add a British uniform with epaulettes [the little table brooms on the shoulders] and a nose ring. Tecumseh was a chief of the Shawnee tribe, and, among other things, a respected human being, the founder of an intertribal Indian confederation, an admired leader, and a powerful orator. 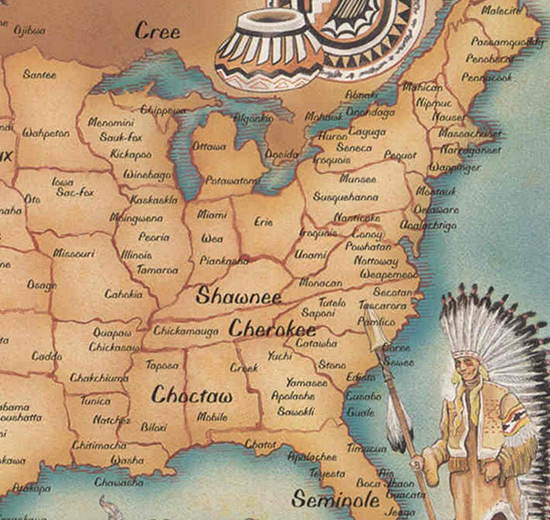 Tecumseh's mother was a Creek Indian, see today's Georgia and Alabama on the map above. Tecumseh's brother was Tenskwatawa, also called the Prophet. His elder sister was Tecumapease, or Tecumpease. Another elder brother was Cheeseekau. And yet another brother was Sauwaseekau. Tecumseh probably married twice. 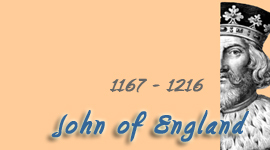 The name of his first wife is not known. His second wife was Mamate. Mamate and Tecumseh had a son, Pachetha. Mamate died before Tecumseh founded his confederacy. 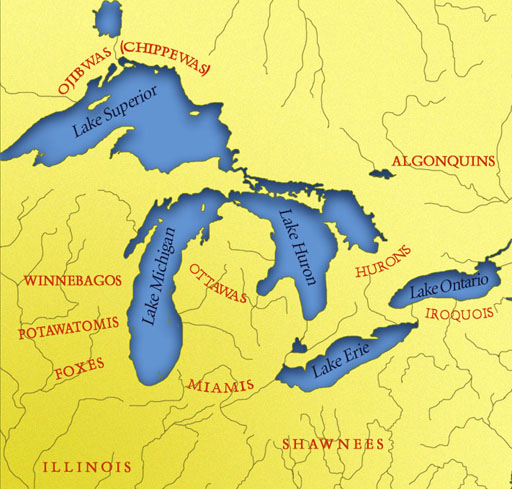 Pachetha was brought up by Tecumapease, Tecumseh's sister. Although a warrior, Tecumseh did not tolerate cruelty. 1768 - Birth at Old Piqua near today's Springfield, Clark county, Ohio. 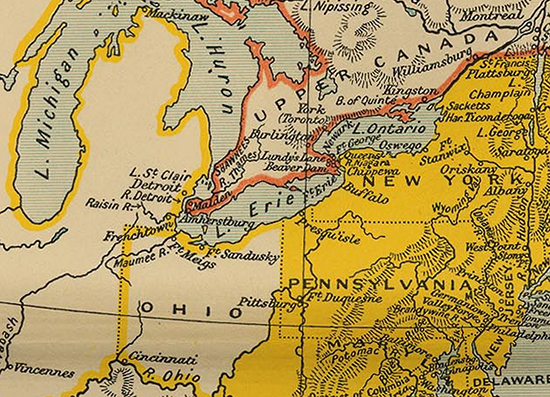 As far as colonists are concerned, the region is in British hands. 1774 - Tecumseh's father is killed by whites, his mother leaves him with the tribe and disappears. The Shawnee chief Blackfish adopts him. 1775-1783 - American Revolution. Young Tecumseh fights with fellow Shawnee warriors alongside the British against the Americans. After the war, Tecumseh fights along with the Cherokees. 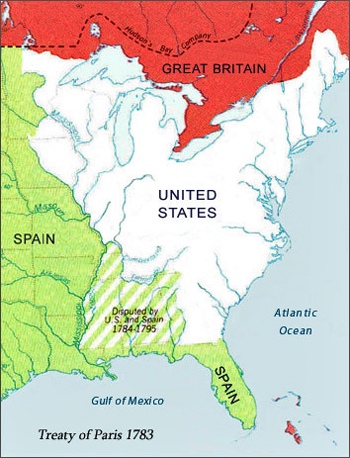 1789 - Fighting between the Northwest Indian Confederation and the whites breaks out. / George Washington becomes the first U.S. president. 1790 - General Josiah Harmar and his punitive expedition, is ambushed by warriors of the Northwest Indian Confederation, led by Little Turtle, chief of the Miami tribe. November 4, 1791 - Saint Clair's Defeat. Indians of the Northwest Indian Confederation, again led by Little Turtle, creep up on General Arthur St. Clair's camp of 3,000 men and kill more than 600 of them. Tecumseh serves as a scout with the Indians. 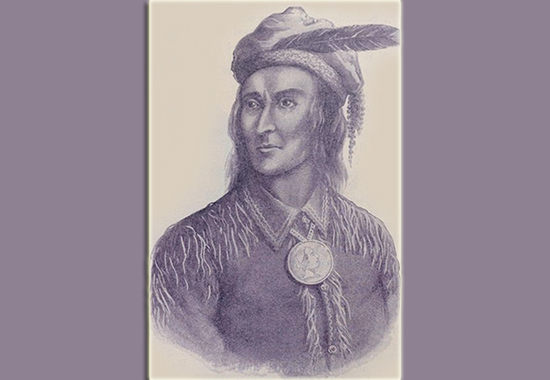 September 1792 - In a raid near Nashville, Tennessee, Tecumseh's brother Cheeseekau is killed. 1792 - President Washington makes Anthony Wayne commander in chief of the U.S. Army, who sets out to defy Indian resistance. The Shawnee chief Bluejacket rallies Indian troops to deal with Wayne. Accordingly, Tecumseh moves back into the Ohio region to lend a hand. 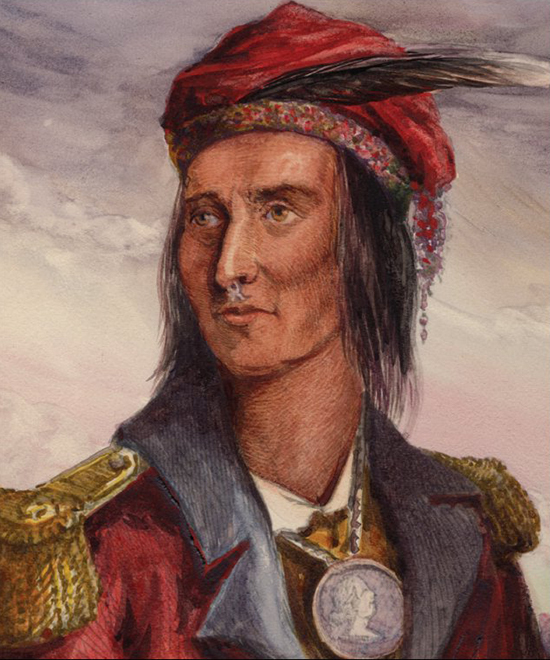 June 1794 - Tecumseh leads a futile Indian attack on Fort Recovery. August 20, 1794 - Tecumseh fights in the Battle of Fallen Timbers, a devastating defeat of the Northwest Indian Confederation by the Americans, led by General Anthony Wayne. Tecumseh's brother Sauwaseekau is killed in battle. August 3, 1795 - As a result of the Indian defeat at the Battle of Fallen Timbers, the Indians, represented by Little Turtle, are forced to sign the Treaty of Greenville, in which they cede most of Ohio, and large parts of Indiana, Illinois, and Michigan. This concludes the Northwest Indian War. 1797 - John Adams becomes the second president of the U.S.
1799 - Council near today's Urbana, Ohio, to settle racial differences. Tecumseh stuns the audience with his eloquence. May 1800 - Twenty-eight year old William Henry Harrison is appointed governor of the newly created Indiana Territory. January 10, 1801 - Harrison arrives at Vincennes. 1801 - Thomas Jefferson becomes the third president of the United States. 1804 - An incident near Chillicothe, Ohio, [the killing of a settler] prompts a council between whites and Indians at Chillicothe. Violent emotions are flying high on both sides, Indians and whites. Tecumseh addresses the crowd. 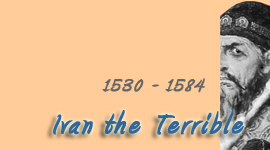 From the confident manner in which he spoke of the intention of the Indians to adhere to the treaty of Greenville, and live in peace and friendship with their white brethren, he dispelled, as if by magic, the apprehensions of the whites - the settlers returned to their deserted farms, and business generally was resumed throughout that region. 1805 - Tecumseh's brother Tenskwatawa, aka the Prophet, begins to preach peace among all Indian tribes and calls for a united front against the whites. Tecumseh travels up and down the country to obtain support and members for his new Indian confederation. Summer of 1808 - Tecumseh visits the British at Fort Malden, Upper Canada. The British are very much interested in aiding Tecumseh's activities, because they share an enemy, the United States. Followers and advocates of the intertribal Indian confederacy gather at Prophet's Town on the Tippecanoe River, Indiana. This assemblage is a mixture of religious revival (Tenskwatawa claims he had a revelation), devotion to Native American traditions, resistance to land grabbing by whites, and pure American patriotism, in its original sense of the word. Tecumseh continues to travel the country in search of recruits. 1809 - James Madison becomes the fourth president of the U.S.
1809 - The Treaty of Fort Wayne, negotiated by William Henry Harrison between the U.S. and the "Delawares, Shawanoes, Putawatimies, Miamies and Kickapoos", takes three million acres from the Natives. No tribe has the right to sell, even to each other, much less to strangers. Sell a country? Why not sell the great air, the great sea, as well as the earth. Did not the Great Spirit make them all for the use of his children? Summer of 1811 - Tecumseh's second meeting with Harrison at Vincennes. Arriving with Tecumseh at this meeting are several hundred of his men. 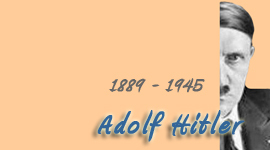 This time around there is much more tension in the air, and the meeting accomplishes nothing. Tecumseh goes on to recruit troops for his confederacy in the South, while Harrison finds his absence a great opportunity to attack the Indian confederation at its core. This will result in the Battle of Tippecanoe. Harrison marches up the Wabash River and sets up camp in close proximity to Prophet's Town. Tenskwatawa decides to attack first. The battle that followed marked the beginning of what became known as Tecumseh's Revolt. This revolt will merge with the War of 1812. November 7, 1811 - Battle of Tippecanoe. U.S. victory. Tenskwatawa flees to Canada. His men scatter. Upon his return, Tecumseh finds his village in ruins. He braces for war between the Americans and the British, and decides to cross the Detroit River with his troops, and to join the British at Fort Malden. There he brought together perhaps the most formidable force ever commanded by a North American Indian, an accomplishment that was a decisive factor in the capture of Detroit and of 2,500 U.S. soldiers (1812). 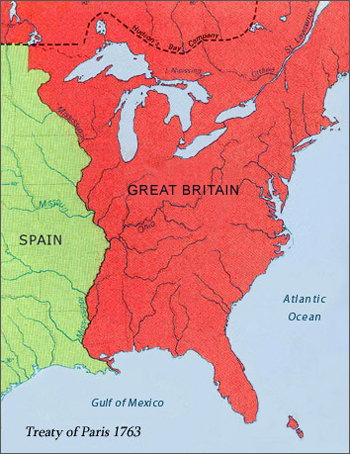 June 18, 1812 - The U.S. declares war against Great Britain. The War of 1812 has begun. August 5, 1812 - Tecumseh and his men ambush a small unit of American troops. This is the Battle of Brownstown. August 9, 1812 - Tecumseh, his men, and British troops attack a U.S. detachment at Maguaga. This is the Battle of Monguagon (Maguaga). 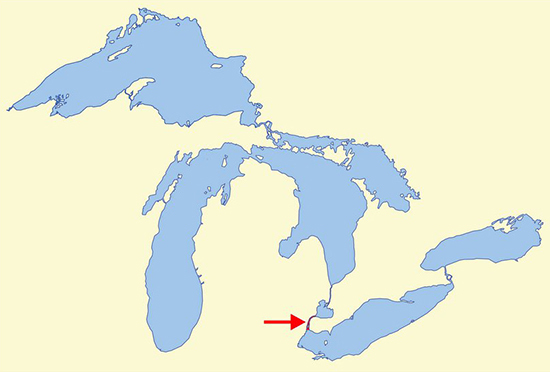 August 15, 1812 - The British and Indians, including Tecumseh, attack Fort Detroit. August 16, 1812 - Surrender of Detroit. Tecumseh continues to travel in order to find support among the Indian nations. The Alabama Creeks respond well to his message, but the Chickasaws, Choctaws, and Cherokees do not. Tecumseh returns north to join British General Henry A. Procter in his invasion of Ohio. May 1, 1813 - First Siege of Fort Meigs, located on the Maumee River above Toledo. Harrison against Procter. Procter withdraws on May 9. May 5, 1813 - Battle of Fort Meigs. This is part of the Siege of Fort Meigs. In this battle Tecumseh defeats 800 Americans, led by Colonel William Dudle. July 21, 1813 - Second Siege of Fort Meigs, which is Tecumseh's almost brilliant plan to lure the Americans out of the seemingly impenetrable fort. On October 5, 1813, Tecumseh is killed in the Battle of the Thames, also called the Battle of Moraviantown, near the Thames River in Upper Canada, today's Ontario. Check this event in the timeline of the War of 1812.
Who exactly killed Tecumseh? No one knows. One of the many unconfirmed rumors is that it was Colonel Richard M. Johnson, commander of the Kentucky mounted militia. Where exactly was Tecumseh's body buried? No one knows. Some say his body was mutilated by U.S. troops, others say Tecumseh's men buried him. Either way, Tecumseh's death crushed the Indian confederate resistance as well as the British-Indian coalition. Many legends were invented and Tecumseh became a larger historic figure post-mortem. The Smithsonian shows us a more popular rendering of Tecumseh: Benson John Lossing's engraving of Tecumseh, based partially on Pierre Le Dru's sketch. Lossing lived 1813-1891. Composite image of Tecumseh or Tecumtha (The One Who Passes Across Intervening Space From One Point To Another) wearing a peace medal, taken from Benson John Lossing's Pictorial Fieldbook of the War of 1812. According to a note by Lossing, he made the "portrait" of Tecumseh from a Pierre le Dru's pencil sketch of his head and cap and a rough drawing showing him in full military dress, made at Malden shortly after the surrender of Detroit.